Many people enjoy donating their new or gently used items to charities. It is very satisfying to know that you are able to help others through the gift of needed items. One item that might not be thought of as often as clothes or furniture, however, is a car. Maybe you have thought about donating a car, but were unsure about a few things such as, running condition, type of vehicle, and determining the value of your car. 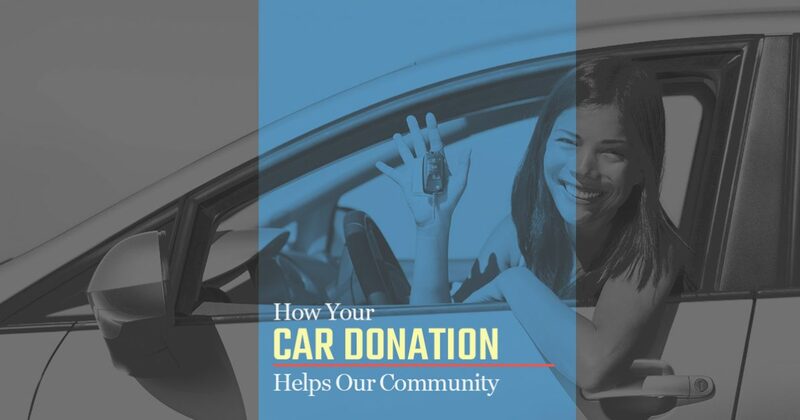 Read on to see how you can make a big impact on your community with the donation of your car. When you think of the ads that encourage you to donate a car to charity, you may have thought that meant only cars could be donated. In fact, any type of vehicle can be donated. At Catholic Charities of Santa Clara County, we accept all vehicle types as donations. Vehicles include: cars, trucks, trailers, RVs, boats, motorcycles, buses, and SUVs. It is not a requirement for vehicles to be in good, working order. To find out whether or not we can accept your donation, call us at (866) 565-5912 or fill out our car donation form. We work with you to make the donation process as easy as possible. While we cannot accept an abandoned vehicle, we can pick up any vehicle that you have a clear title for. The only documentation that you will need to provide is the signed and clear title of the vehicle. We certainly enjoy meeting our generous donors, but if you are unable to be present at the time of pick up, that will not be a problem. Make sure to remove all personal items from the vehicle and we will do the rest. Depending on the time of day we receive your email or phone call, we can offer same-day pick up of your vehicle donation. We will contact you within 24 hours of receiving your information to establish a convenient time and location for pick up. We handle vehicle donation pick ups all over the South Bay Area. If you are outside of this, we can frequently make exceptions to reach out to you in a surrounding county. Please call Catholic Charities of Santa Clara County to find out more. Once we have received your vehicle, our car donation specialists will assess the car to determine its condition. Based on their assessments, the vehicle might be used for parts, or simply junked. Once the future of the car has been determined, we can begin to use the cash donation received to fund both new and existing programs. We also use this financial source to help increase community awareness throughout Santa Clara County. At Catholic Charities of Santa Clara County, our mission is to serve those in our community who are in need of assistance. We provide aid to young families and to the elderly. We help people in Santa Clara County with a variety of needs such as: job placement, food, clothing, and household items. Your vehicle donation enables us not only to continue offering help, but to expand the scope as well. Donate your car today and make a difference in the lives of others.